‘Race you!’ Eve took off down the wide footpath that led to the town centre and main beach, her long black curls bouncing madly as she ran. She could hear her friend Oscar sprinting after her. It didn’t’ take him long to catch up. Eve scowled as Oscar overtook her. He could be so annoying! Even though she felt as if her chest might burst, Eve managed to stay on Oscar’s tail. They raced each other the four blocks from Eve’s grandmother’s house to the sleepy main street of Marigold. Oscar reached the low stone wall above the beach ahead of Eve. It’s holidays and Eve and Oscar were planning a swim. But a sudden rain shower sends them (and Eve’s grandmother Silvie) racing for shelter inside an odd shop. 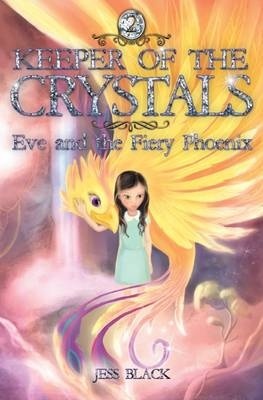 While they look around Eve discovers a crystal and she and Oscar are whisked off on a magical adventure. They find themselves in a jungle full of tigers and other creatures. This world is shrouded in darkness and the jungle is dying. If they ever want to return home, they have to solve the mystery of the growing darkness.